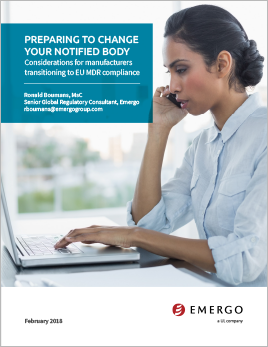 The transition deadline for the European Medical Devices Regulation (MDR 2017/745) will be here soon and medical device companies are preparing to recertify under the new regulation. However, some manufacturers could face another obstacle: losing their Notified Body (NB). You will learn all this and more in this 9-page white paper.